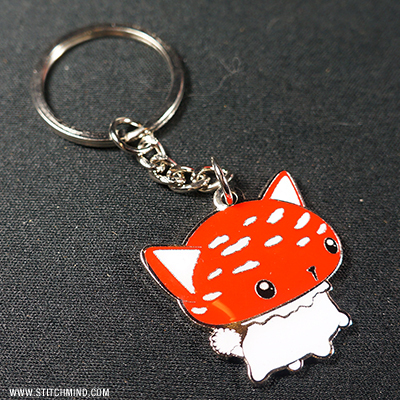 A Metal keychain featuring Mewshroom artwork. About one and a half inches big. 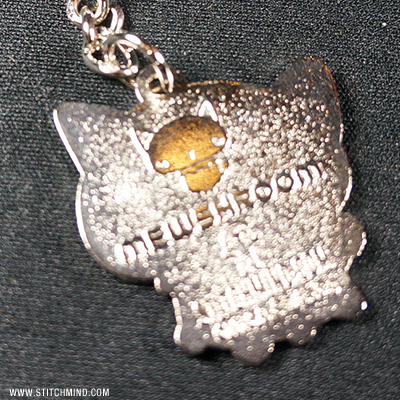 Features silver metal, a stamped back title, and large keyring with 1 inch chain. Keep your keys safe with the magic of the Fungapuss!